Intermittment fasting. IF examined and digested for you in Tony's blog. Intermittent Fasting became popular after the BBC aired the Horizon programme in 2012 called “Eat, Fast and Live Longer” presented by Dr Michael Mosley. The programme initially examined calorie restriction diets to improve and extend life expectancy. Michael Mosley’s research steered him towards fasting and he is now an authority on the subject after some interesting results from the research conducted on the programme and in the years since. WHAT IS THE 5:2 DIET / FAST DIET? Intermittent Fasting is having a time period without eating. By having sustained periods of fasting, your body produces some positive responses. It is less about losing weight and aimed at a healthier way of living but weight loss can result from fasting. There are many fasting plans, the most common being the 5:2 DIET, also known as the FAST DIET. This is a fasting plan that Michael Mosley recommends. You consume your normal daily calorie intake for 5 days and then restrict your calories to 25% of normal daily allowance on 2 consecutive days. This averages out at 500-600 calories per day on your 2 fasting days depending on whether you’re female or male. This is normally to be eaten in one meal. You are allowed to drink black or herbal teas, black coffee and drink water during fasting days as this does not count towards your daily calorie allowance. The 5:2 plan is based on a Mediterranean Diet. Research shows that fasting can improve insulin sensitivity and weight control. There is also evidence that fasting effects your basal metabolic and cellular signalling pathways that influence neuronal life span. In a nutshell, fasting can protect against free radicals by essentially protecting nerve cells from genetic and environmental impact of ageing. Other research has suggested that fasting has a positive effect on resistance to age-related diseases such as obesity, heart disease, stroke and high blood pressure. There is even some very recent research suggesting that the 5:2 Diet can reduce the risk of breast cancer. 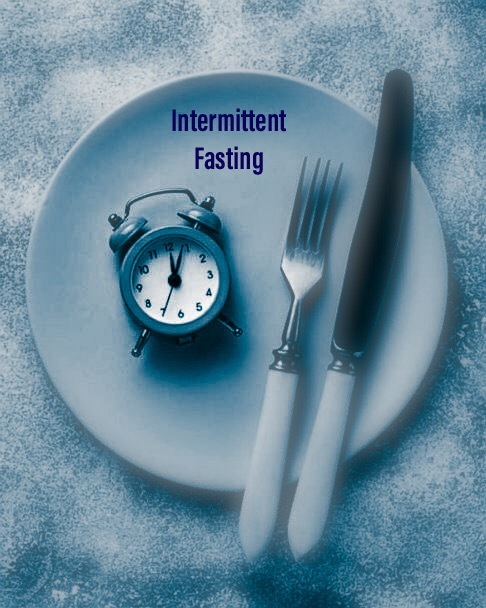 Other positive findings show that fasting or calorie restriction can help the body break down fat and repair cells, reversing the ageing process, shrinking tumours and guarding neurons against damage caused by neurodegenerative disorders such as Alzheimer’s and Parkinson’s. The 5:2 Diet is only one of many types of Intermittent Fasting plans. The 16/8 plan or Leangains Protocol popularised by Martin Berkhan is based around a daily fast of 16 hours and 8 hours where you’re allowed to feed. This type of fasting has been popularised by the actor, Hugh Jackman. It’s a plan that I have experimented with and it’s not too difficult to implement. Due to my work hours, I usually stop eating around 9pm at night. My next meal will be 1pm the following day. Your allowed the usual black coffee, black or herbal teas and water but nothing else during the 16 hour period. A 2016 study showed some interesting results. There were some significant hormonal and metabolic changes to the 16/8 fasting group. Testosterone and IGF-1 levels decreased. Levels of several pro-inflammatory cytokines decreased. Cortisol levels increased. Insulin and blood glucose levels decreased. Triglyceride levels decreased. T3 levels decreased and RER decreased slightly. Eat, Stop, Eat fasting plan is where you fast for 24 hours one or two days per week. Alternate Day Fasting plan is exactly what it says. Eating very little one day and eating normally the next day. The Warrior Diet plan is based on how warriors used to eat. Fast during the day and then eat all your calories at night. Your exercise (hunting) is based around the day when you’re fasting. It is not based on science and you should be careful what intensities of exercise you are performing whilst fasting. The fasting state lasts for around 20 hours per day. The Spontaneous Meal Skipping method has no intermittent fasting plan. It’s the least constraining and it allows you to skip a meal once or twice a week. There is also some evidence to suggest that a ketogenic diet stops sugar cravings and as you move into a state of ketogenesis, the body breaks down fat as a source of energy. This suppresses ghrelin, a hormone that increases your appetite. By increasing your intake of protein when fasting, you will be able to fast longer. However, there are issues with a high protein diet. Raised cholesterol levels, kidney problems, kidney stones, osteoporosis and increased production of growth hormone IGF-1. In addition, a high protein diet does not work for runners, rowers, cyclists, swimmers, other endurance athletes or people with active jobs as you will be depleting valuable glycogen stores in your body. I’ve experimented with many diet plans. I’ve flirted with the Paleo Diet, Keto Diet, Atkins Diet, Low Fat Diet and IF. Some diets promote healthy living. Some diets are not worth mentioning. The science behind IF is still unclear and further research is required. Ultimately, I have to decide what is best for my own health, my family’s health and the health and well-being of my clients. I choose to eat when I’m hungry which is usually mid morning, mid afternoon and early evening. I have an active job and I exercise daily so fasting is difficult for me. Also, there is a risk of over-eating when breaking fast. You may end up eating twice the amount of calories in one sitting or even more without realising it, especially if your diet is carbohydrate based and you are ravenous. Believe me, I’ve been there! So what’s best. Well it depends on the individual and their goals, lifestyles and health. If your goal is to lose weight and feel good about yourself, then I would advise to follow a calorie restriction diet based on the daily allowance for age, build, height and whether you’re male or female. Your diet should be made up of fresh organic vegetables, grains, white meats and legumes. Limit red meat consumption to once a week whilst reducing alcohol to the recommended amounts. Do not eat processed, trans-fats and high sugary foods. A calorie restriction diet is not to be confused with a low calorie diet which is not advisable. It’s all about eating the correct food and the correct amount of food. Unless you are training as a bodybuilder or are an athlete, follow your average calorie allowance per day. Finally, if you have a medical condition, please do not follow any diet plan before consulting your doctor. Thanks for the positive comment. Hope it helps you. Really pleased the post has helped you. Just be careful about overeating when you break the fast. Pleased it helps you. Just be careful about overeating when you break the fast. Thanks. Interesting physiological changes to the body. The only downside is overeating when you break the fast.